Most know Mike Farrell from the ever popular TV series M*A*S*H. Fewer know that there's more to Mike Farrell than just his fame as B.J. Hunnicutt. 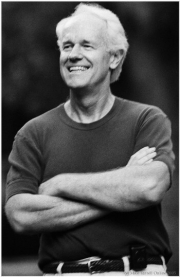 Explore "Mike Farrell Online" and delve into the many features of Mike's life as actor, activist, writer and biker. Michael Joseph Farrell was born on February 6, 1939 in St. Paul, Minnesota. At the age of 2 a move to Hollywood, where his father's work as a studio carpenter provided young Mike's first glimpse of the world behind the studio walls, began his fascination with the "movies, one he has never fully lost. After graduating from Hollywood High and a hitch in the Marines, he worked a number of jobs - including a stint as private investigator - while pursuing a career as an actor, beginning with small parts in films like "The Graduate" and "The Americanization of Emily". Stage roles and small parts on TV eventually landed him in the soap "Days of Our Lives", where he starred as Scott Banning for two years. "Days" was followed by leading roles in two series, "The Interns" and "The Man and The City," then a four-year contract with Universal Pictures. Mike is best known for playing Captain B.J. Hunnicutt in the ever popular series M*A*S*H. His eight years with the memorable show allowed the opportunity to both write and direct several episodes, earning him nominations for Director's Guild and Emmy Awards. His first production experience outside of ""M*A*S*H was the CBS-TV film "Memorial Day", in which he starred opposite Shelley Fabares. On the documentary front, among many others, Farrell co-hosted "Saving the Wildlife" for PBS, hosted "The Best of the National Geographic Specials" and had a great adventure scuba diving with his children, Michael and Erin, among hundreds of sharks in French Polynesia for "The World of Audubon". Together with partner Marvin Minoff he formed 'Farrell/Minoff productions'. Farrell/Minoff's first production was "Dominick and Eugene", a film starring Tom Hulce and Ray Liotta. After making a number of TV movies, one of their more recent productions is "Patch Adams", starring Robin Williams. Beyond the film industry, Mike is a very active and outspoken citizen. Promoting human rights and opposing the death penalty are two of his prime concerns, making him a regular lecturer to interested audiences. In 1996 Mike was presented the Valentine Davies Award by the Writers Guild of America, given to members: "whose contribution to the entertainment industry and the community-at-large have brought dignity and honor to writers everywhere." In February 1998 Farrell was appointed to a three-year term on the Commission on Judicial Performance, an 11 member California State Commission that adjudicates complaints against judges in the state. 1998 also brought him NBC-TV"'s "Providence" playing veterinarian Jim Hansen with cast-mates Melina Kanakaredes, Concetta Tomei, Paula Cale and Seth Peterson. In 2002 Mike was elected First Vice President of the Screen Actors Guild in Los Angeles and served three years in that capacity. In 2004 he received the Donald Wright Award from California Attorneys for Criminal Justice, only the third time in its 28 year history that the award has been presented to a recipient who was neither a lawyer nor a judge. In his spare time Mike loves to read, spend time with his wife and kids and enjoys cross-country motorcycling. His bike trips have crisscrossed, amongst others, the US, Canada, Australia and Europe. Mike Farrell is represented by Innovative Artists. 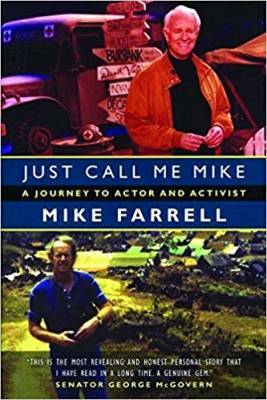 From its opening pages, Mike Farrell’s new memoir reveals the distinctive voice of a man for whom life is an ongoing odyssey of self-discovery, personal commitment, and uncompromising social engagement. With deep insight and disarming candor, Farrell describes his early years as a timid but restless teenager in West Hollywood, delivering groceries to the homes of Jack Benny, Lucille Ball, Jimmy Stewart, and countless other celebrities, while dreaming of having his own career as an actor. In stark but riveting language, he relates his formative years as a Marine recruit, confused, conflicted, and eager to prove himself as a man. Farrell humorously portrays his professional development from a young soap opera player on Days of Our Lives to the amiable star of two popular television series, M*A*S*H and Providence, to the respected producer of successful motion pictures like Dominick and Eugene and Patch Adams. 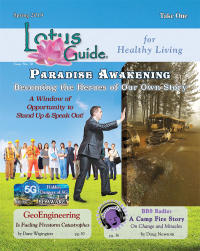 At the heart of his story, Farrell narrates his public struggle to be a responsible citizen of the world. From his firsthand accounts of the ravages of war and oppression in Cambodia, El Salvador, Somalia, Bosnia, Rwanda, and the Gaza Strip, to his tireless advocacy against capital punishment, to his deep commitment to environmental causes, Farrell portrays each of these experiences with passion, outrage, and stubborn optimism.